why they are not in prison. We use spacecraft like Opportunity, Voyagers 1 and 2, and newer projects like Curiosity to teach kids about space, geology, and physics. Even though they are machines, they can teach us about one of the most important human journeys- death. Space missions have a life expectancy. Probes we send to the Moon, Mars, and beyond the Solar System talk to us. Then over time their components fail, their signal grows weaker, and eventually we lose them. Voyager 2 was launched 13 years before I was born, and is still transmitting faintly from billions of miles away. Opportunity still roams, but its sister rover Spirit got stuck and went offline a few years ago. It lost a sibling, but soldiers on. Death is a scary idea to everyone, and it’s difficult to bring the subject to youth. But what Opportunity is going through is an impersonal way to talk about a process that will affect their grandparents, parents, and eventually themselves. The probes have less energy. Their joints and arms don’t work the same as they used to. Their memory is spotty and they require more medical attention than before. And like humans, these machines have life experience and leave a legacy. 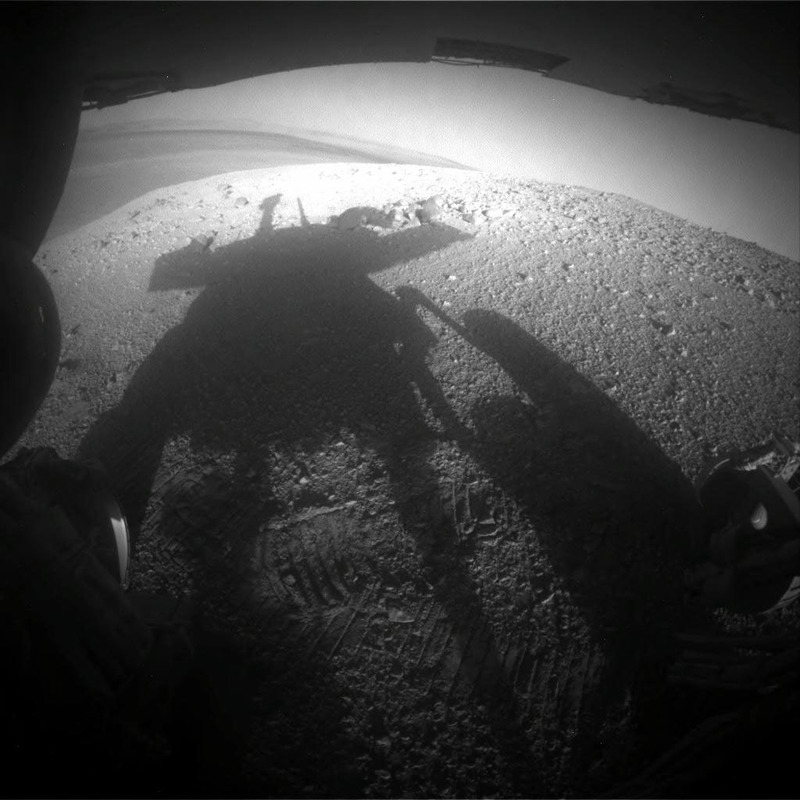 Opportunity has traveled almost 26 miles in the past decade, making several groundbreaking discoveries about the surface of Mars and its history. When it one day powers down, we will have a familiar debate about what to do with its body- will it stay there for eternity, or will we one day put it in a museum? How can we honor what has passed? There is wisdom to be gained with the fact that even artificial things have a life cycle, and that machines and humans can have a great deal in common with their journeys. One day, like Voyager, I will stop talking. And how will the world remember me? the tragic scene their joy surrounds. 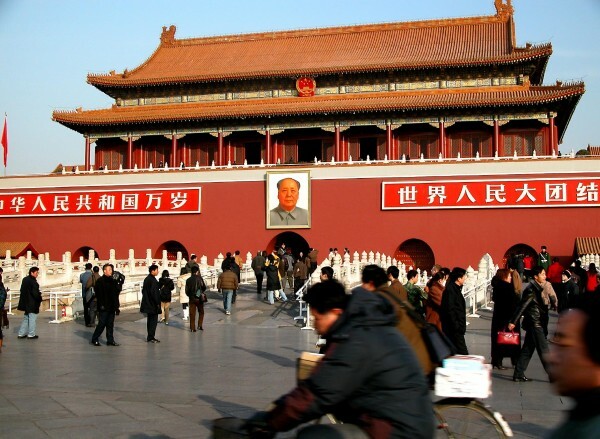 Bill Weinberg writes today about the incredibly tight security in and around Tiananmen Square, along with preemptive arrests of the types of Chinese citizens that might think about doing a public vigil for the massacre’s 25th anniversary. The absurd security measures speak to the ultimate futility of trying to suppress the truth this way. The virtual shutting down of the square was itself a perverse and paradoxical commemoration of the massacre on the part of the authorities. Presumably, it caused some children to ask their parents what all the police patrols were about, ironically facilitating the passage of historical memory on to the next generation—even if those children received only veiled and guarded answers. If they were hushed by their parents, this would only serve to heighten their curiosity, and plant seeds of doubt about the morality of the system. The Los Angeles Times has a feature about what the Square was like – police everywhere, aggressive interrogations, complete blockades for any journalists who looked curious. This whole scenario shows to me how difficult it is to destroy any memory of 1989. Even if Chinese citizens in Beijing do not know the details of the reform movement and its fate, they know that the government remembers something. One does not radically increase security around a certain date each year by chance. Even if this whole round of arrests and intimidation keep what’s in the black box inside, no one can deny that there is a black box. And it holds something. Some of us have the luxury of knowing a few of the details, but for a foreigner this isn’t part of my national history. It’s one component of 20th century protest, and fits in alongside Poland, Czechoslovakia, Estonia, and all those other democratic surges of the late 1980’s and early 90’s. I don’t walk past the Square every morning. My June 4th wasn’t like the tourists from other parts of China who showed up and didn’t know why security was so intrusive. The black box sits in the middle of one of the largest plazas on Earth. No matter what the Chinese state does, it will insist upon itself. Tiananmen on June 4th, 1989 happened. Huge numbers of Chinese participated and survived. Some of the most riveting news photography was taken and published all over the world. People remember. Mother Jones reminds us how young and jubilant these protesters were. Overall all of China there were all segments of society, but the lifeblood in Beijing were kids. Many of whom were younger than I am now, turning 24. Tiananmen Square is the site of a tragedy, even without a single protester reminding, or informing passersby. The government is fighting reform and pro-democratic movements, both within mainland China, in Hong Kong, and all over the world. But it’s also fighting a war against the past. Though economic vitality has been used as a salve for political tension, it cannot work forever. One day the catch-up will end, and China will have the same problems all developed countries have with their pasts.